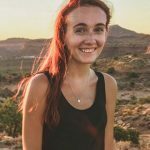 How to Find National Park Jobs in the U.S.A.
Megan is a Wisconsin native currently working her way around the US, exploring other countries any chance she gets. She loves to read, drink coffee, and hike, no matter where she is. If there's a beach, you'll probably find her on it.